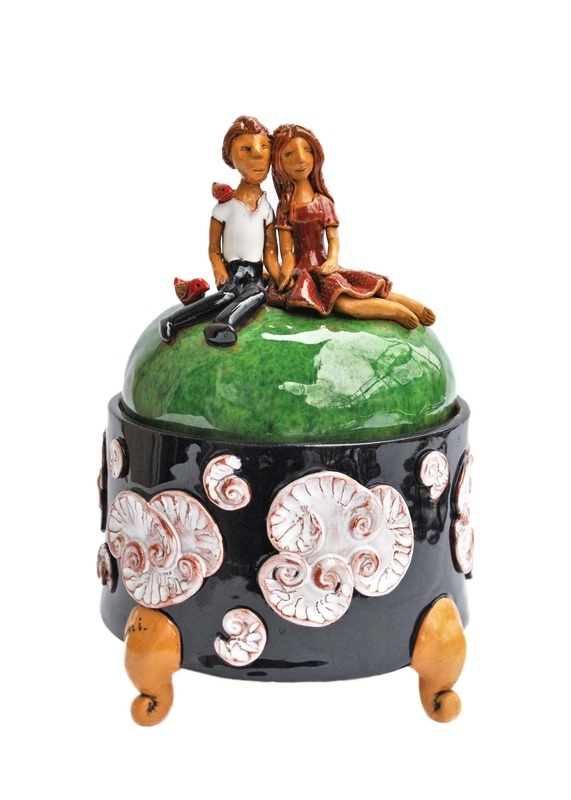 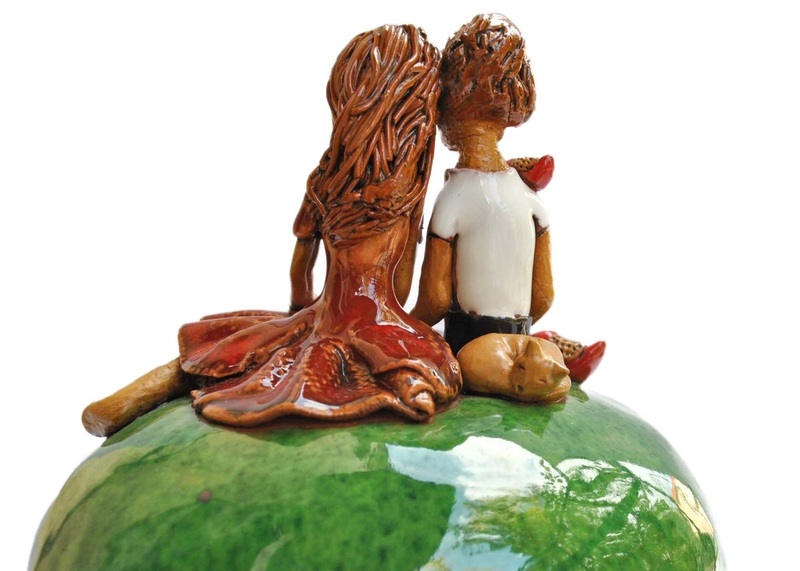 This sweets box in a dark green glaze with white fantasy clouds happily stands on its chubby curly feet holding a couple on a date on top of the lid. 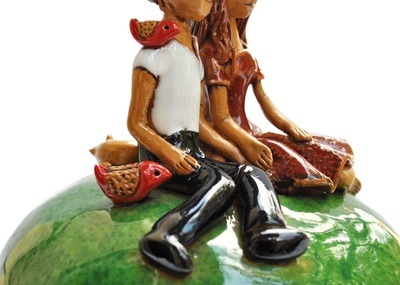 Two birds and a kitten enjoy each other company on the lid, too. 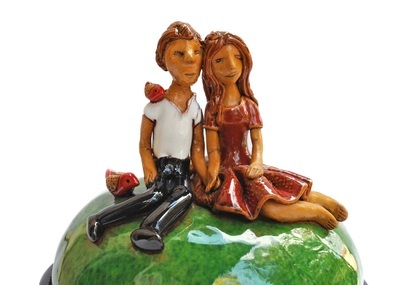 The holder is approximately 14 cm (5.5 in) wide and 21 cm (8.3 in) tall (including the lid with the couple). A perfect place to store chocolate and/or happy memories.